There aren’t many stories like the American Football story. They formed in the late ’90s as one of the many bands of frontman Mike Kinsella (who had already drummed in Cap’n Jazz and Joan of Arc beforehand, and who started his Owen solo project shortly afterwards, among other things), released one EP in 1998, one album in 1999, and broke up the following year before ever really making much of a widespread impact. Owen became Mike Kinsella’s most prolific and longest-running project, but American Football’s debut album became his most legendary over time, gradually gaining a cult following that got so big it caused the band to reunite in 2014 and play their biggest shows ever. Not content to be a nostalgia group, they followed American Football with their first album in 17 years in 2016. The legend of American Football was and is still impossible to top, but LP2 was a fine album, and it had a lot of things the debut didn’t have, like cleaner production, stronger singing, and tighter songcraft. It was a bit of a shock at the time that American Football would risk messing with their storied legacy, but that shock has since worn off and American Football have turned into a regularly active band. They’ve now been active longer than they were the first time around, and as of this week, they’ve put out twice as many albums during this run as they did back then. As good as LP2 was, in hindsight, it feels very much like a “reunion” album; its songs feel like the work of a band working out the kinks of a comeback, caught between their storied past and where they want to be in the present. 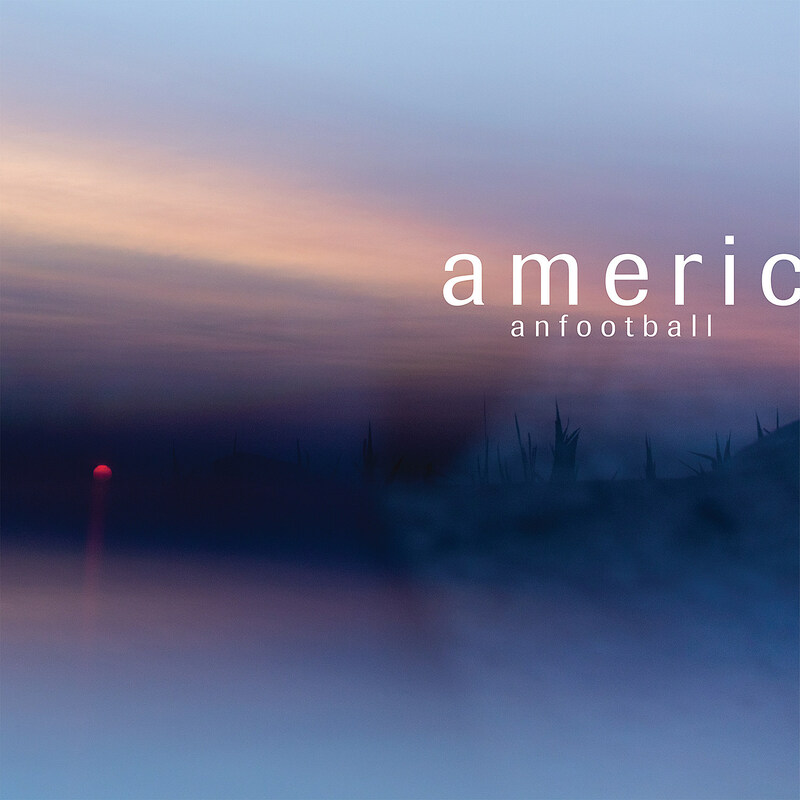 On the new LP3 — which may very well be the band’s best yet — American Football are boldly pushing forward. American Football were taking cues from Steve Reich as far back as the first album, but they’ve never written music as full of ambience and atmosphere as LP3. The album opens not with the band’s trademark guitar style (or with a false-start drum fill), but with swelling glockenspiel provided by Mike’s cousin Nate Kinsella (who joined American Football when the reunion began), and that’s an instrument that shows up a few other times on this album and adds a lot to it. LP3 has by far the band’s most lush-sounding production to date (they worked with producer Jason Cupp, who also worked on LP2), and these are all-around the most beautiful-sounding songs they’ve ever written. When the drums and guitar finally do enter about a minute and a half into album opener “Silhouettes,” you get your first rush of nostalgia for the band’s trademark sound, but it still feels different this time around. The same thing happens when Mike Kinsella finally sings. For lifelong fans, there’s something so familiar and comforting about his voice, and I feel that even more strongly when listening to this album than I did listening to LP2. But at the same time, these songs feel like new ground for him, both lyrically and sonically. He still retains the aching delivery that earned American Football the “emo” tag, but he’s also now got a cooing style that sounds more like dream pop. And for a band who won over the hearts of thousands for singing about teenage feelings, they’re in wiser territory this time around, and not at the sacrifice of heartstring-tugging one-liners. Mike Kinsella is a father, a husband, and about twice the age he was when he wrote American Football, so naturally his concerns on LP3 aren’t the same as they were on the debut. And this album finally strikes the perfect balance between the lyricism his fans fell in love with and the more mature, current outlook he’s been shaping with his recent music. On songs like “Uncomfortably Numb,” Mike addresses the contrast between the youthful person he immortalized on American Football and his current self head-on (“I used to struggle in my youth / Now I’m used to struggling for two”), and adds in the kind of perspective you don’t usually have as a young punk in your early 20s (“How will I exist without consequence?”). He does something similar on “Heir Apparent,” and it’s tempting to read it as a direct response to those who don’t want him to move on from teenage feelings: “I’m sorry for aging, growing more and more disinterested in celebrity and politic / I’m unapologetically for — maybe more than anything — sorry you love me.” And interspersed between these confessionals are some of Mike Kinsella’s most instantly-quotable lines in years, like “Selfishness is inherited so what could I do? / I didn’t catch it kissing Jenny in the closet, I didn’t learn it at school” (“Heir Apparent”) or “I promise, as soon as the war ends, I’ll find you and we’ll break laws again” (“Silhouettes”) or “I’ll make new friends in the ambulance” (“Uncomfortably Numb”) or “I can’t breathe on my own / Life support, such a bore” (“Life Support”). LP2 sometimes sounded like it could have been an Owen album (and some of the songs came from the same songwriting sessions as Owen’s also-great 2016 album The King of Whys), but LP3 sounds clearly like the work of a collaborative band with a strong, shared vision. It doesn’t really sound like any previous Owen or American Football album, but still manages to tap into the thrills of both projects. It’s an often-vocal-oriented album like LP2, but it also favors hypnotic, lengthy instrumental passages like the debut. LP3 moves like a post-rock album, with bells, vibraphones, glockenspiels, pianos, trumpets and the band’s mathy tendencies all colliding and gradually building to atmospheric climaxes. It’s an album that shows how a band formed by young twentysomethings can age gracefully into adulthood. It’s an album by a veteran band that can acknowledge its storied past without living in it. LP3 officially drops this Friday (3/22) via Polyvinyl, but until then you can stream it at NPR. Also, catch American Football on tour this year, including a just-added second NYC show for April 25 at Warsaw (tickets on sale 3/22 at 10 AM). UPDATE: The album is out now and you can stream it below.